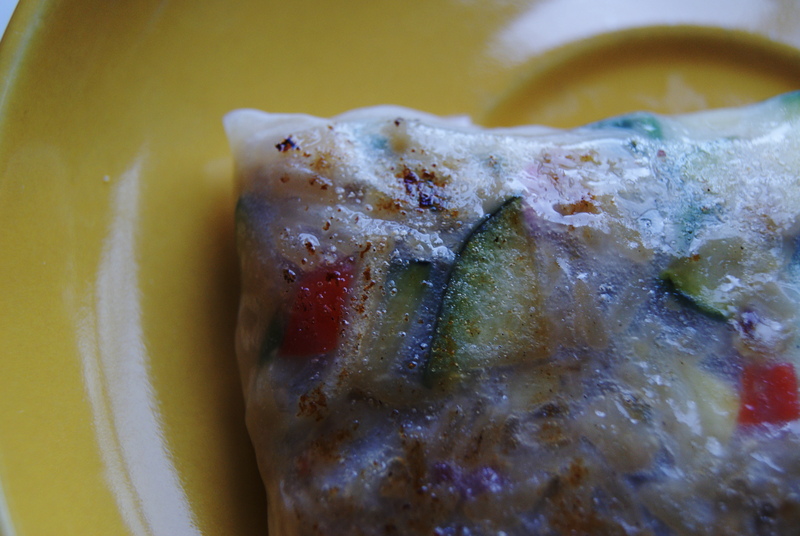 Yesterday evening a friend came over and we decided to try out a spring roll recipe with zucchini, carrot, red bell peppers, hot peppers and a dip. We both weren’t blown away by the ‘rawness’ of it, it just tasted very bland. For the second batch we first fried the veggies in a skillet and the result was much better. 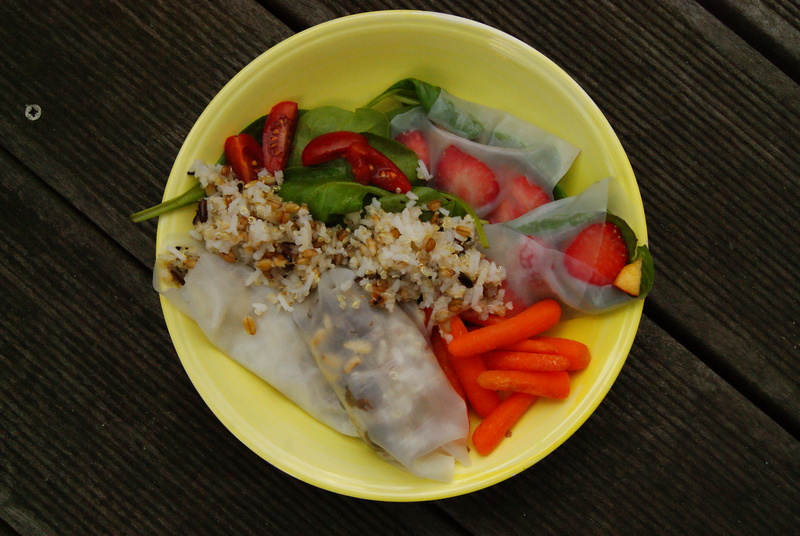 This lunch I tweaked the recipe a bit more (we still had 16 rice paper rolls over after we finished eating yesterday night, what the hell am I supposed to do with all that rice paper?!). You basically have 3 options with this recipe: you can eat it all raw, stir fry the veggies before you fold them into the paper or fry the pockets in a skillet in some olive oil after you added the stir fried veggies to make them a bit crunchy. Chop up the zucchini, carrot and peppers (if you’re using those). Add some olive oil to a skillet on high heat, toss the veggies in and stir fry them (or add them to the rice paper while they are still raw). Place the rice paper in cold water for about a minute (one by one, otherwise they might stick together), dry them on a paper towel. 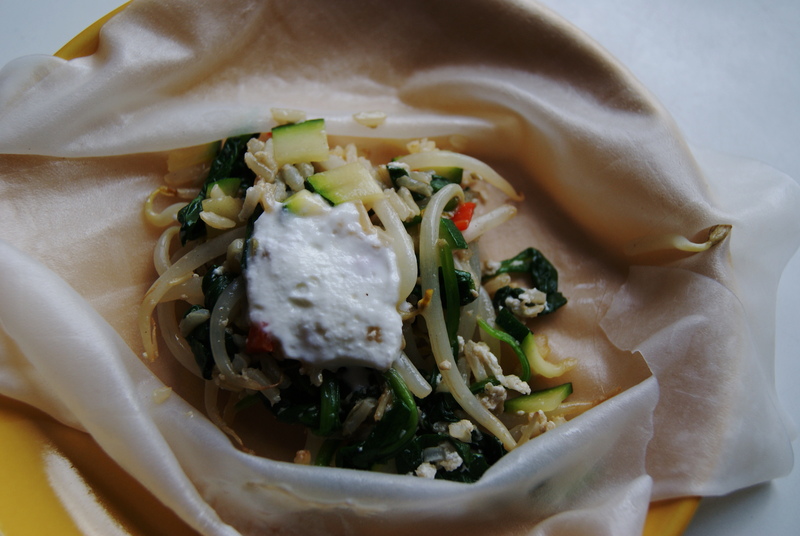 Add the veggies to the centre of the rice paper, add a dollop of Greek yoghurt on top and fold it (I just folded them the way I would fold tortillas, I’m sure there are more elegant ways to do this though;)). Fry the pockets in some olive oil if you want to. Serve with soy sauce. 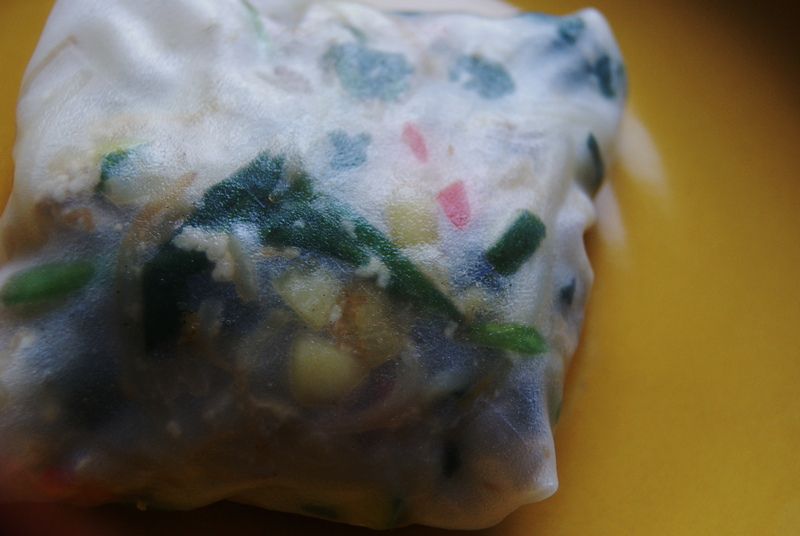 Does anyone have any ideas what to do with the remainder of the rice paper, I can’t keep eating spring rolls for lunch and dinner for the rest of the week? !